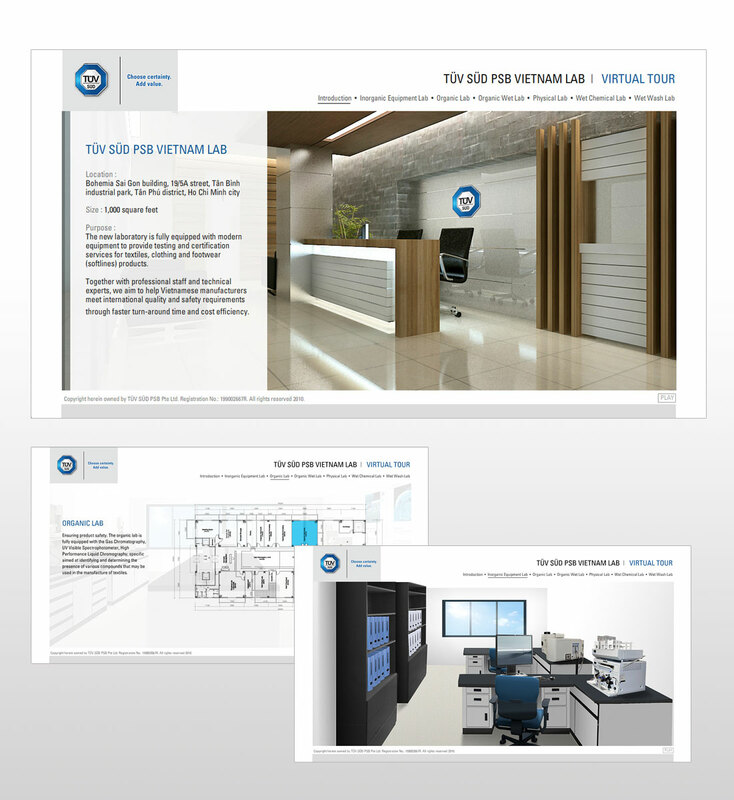 We were approached by TÜV SÜD PSB to come up with a Virtual Tour Presentation for the opening of their new facilities in Vietnam. The deadline to us was within a week. We went on a controlled chaos; multi-tasking in studying the floor plan, designing the presentation structure, setting the brand tone and creating a 3D virtual tour from the ground. Not forgetting the background music.